Celery seeds and gout is the 86th top topic in the Gout and You series, which is based on popular searches by GoutPal visitors. 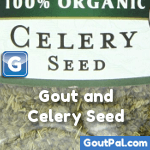 Celery seeds, and raw celery, have been popular with gout sufferers for centuries. I’ve looked for research to support this for many years, but never found anything. Until today. Before I reveal the new research, let’s look at some facts about celery. As a vegetable, it is average, as you can see in the gout foods table for vegetables. However, as a gout treatment, we need to consider celery seeds, which are much more concentrated. In particular, we need to look at one of the components of celery seeds – a flavonoid called luteolin. A recent report investigating celery and gout has highlighted the value of luteolin to gout sufferers. I will do a more comprehensive review of luteolin in future. For now, let’s look at the most recent report, and see why celery seeds are important to gout sufferers. This is not quite true with respect to celery, as it is celery seeds that have luteolin as a major component. As you can see from the list below, celery leaves do contain luteolin, but not as a major component. Peppers are better, but the best candidates, by far, are celery seeds and radicchio. The following table lists all foods in the USDA database that contain luteolin. To match other tables, I have formatted the data to show values per 100 calories. 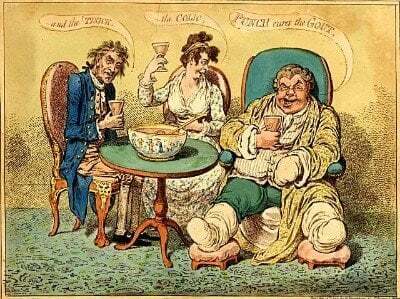 Please see Gout Foods Tables Introduction for an explanation of each column. If you have any questions about celery seeds or luteolin, please ask in the gout support forum. I will publish the 85th topic in this series tomorrow. Please subscribe to my free gout information update service, to get email notification of all new topics.